If, like many, you are getting sick of reading about knife crime on our youth-infested streets, you will be heartened to hear that a new study claims that 4 out of 5 (83 per cent) of people in the UK believe the Nintendo Wii increases family interaction and made parents "feel close to their children." This is compared with just over half of those polled that think the same of Sony's PS3 (52 per cent) and slightly less for Microsoft's XBOX 360 (49 per cent) – but still significant amounts of those polled seem to consider gaming in general as a family-bonding affair. "While console games playing has traditionally been by oneself or with friends, the Wii appears to encourage people to play amongst the family. Close to a half (46 per cent) of Wii owners say they play Child against Parent (compared to a fifth – 21 per cent - for PS3 owners) and 43 per cent of Wii owners play with their Spouse or Partner (compared to just 27 per cent of XBOX 360 owners). "Less than one in ten (9 per cent) of all people asked claimed that playing on a Wii is unsociable; while one in three (33 per cent) claim the PS3 is unsociable." Wiis, as Nintendo never fails to remind us, are not just for the kids, with the survey's results showing that "a healthy 15 per cent of those aged 60 and over have played on a Wii – twice as many as have ever played on an XBOX 360 or PS3"
Nintendo's other new favourite demographic – the ladies – "also find playing the Wii more enjoyable than other activities they do, with 88 per cent saying they enjoy it compared to watching TV (75 per cent), reading books (73 per cent) and using social networks (32 per cent)." 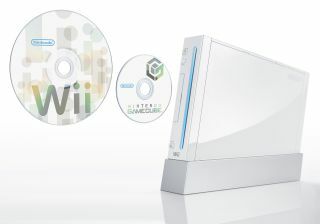 "In the future," the report adds, "over a third of those who use a Wii currently (36 per cent) would like to use it for watching Blu-ray or HD quality DVDs, something only the Sony PS3 can do currently." GfK NOP's Richard Matthews claims that the survey proves how the Wii, "has been innovative in breaking down age and gender barriers and in changing traditional perceptions of gaming from solitary and anti-social to healthy, educational and interactive. "The opportunity now exists for Microsoft and Sony to encourage the development of new content for their devices to appeal to these new audiences."